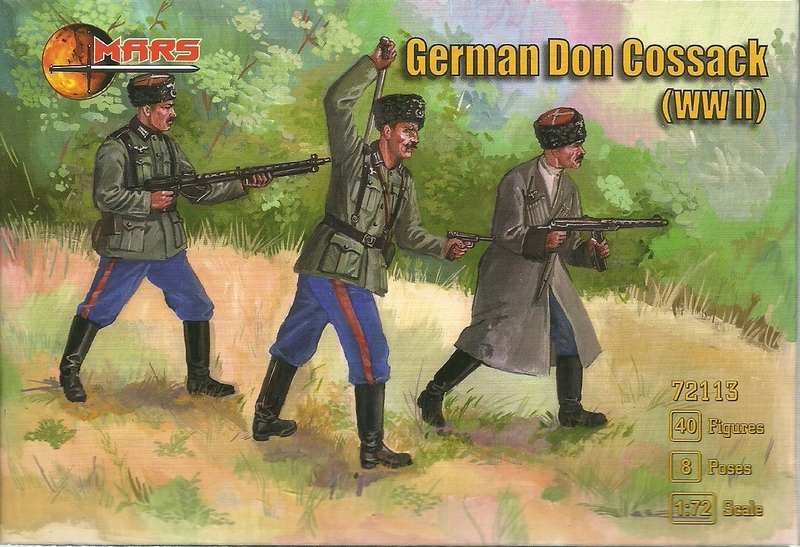 The contents include 40 figures in 8 separate poses and provide a nice collection of WWII German Don Cossacks. Following the Invasion of Russia, many Cossacks volunteered to fight alongside Germany. The Cossack units augmented with Red Army POWs generally worked behind the line in logistics as well as in anti partisan operations. While most fought in German uniforms this set have been provided with Cossack fur caps alongside their German tunics. Weapons are a mixture of Russian and German.